How many types of items were the Jews to donate? 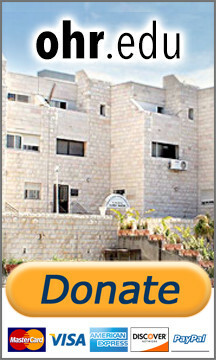 The donation of silver for the Mishkan differed from the donation of the other items. How? What property do techelet and argaman share that orot eilim m'adamim do not share? What property do the above three share that shesh and orot techashim do not share? Onkelos translates "tachash" as "sasgona." Why? What kind of trees did Yaakov plant in Egypt? The aron was made with three boxes, one inside the other. Exactly how tall was the outer box? Why is the Torah referred to as "testimony"? What did the faces of the keruvim resemble? On what day of the week was the lechem hapanim baked? What was the purpose of the menorah's gevi'im (cups)? How did Moshe know the shape of the menorah? What designs were embroidered into the tapestries of the Mishkan? What is meant by "standing wood"? How long was the Mishkan? How wide was the interior of the Mishkan? Why was the altar coated with nechoshet? Which function did the copper yeteidot serve? 25:3 - No fixed amount of the other items was required. The silver was given as a fixed amount:a half-shekel. 25:4,5 - They are wool; orot eilim are not. 25:4,5 - They are dyed; shesh and orot techashim are not. 25:5 - The tachash delights (sas) in its multi-colors (g'vanim). 25:5 - Arazim -- cedars. (a). The oil was lit in the menorah and used for anointing. (b). The spices were used in the anointing oil and for the incense. (c). The precious stones were for the ephod and the choshen. 25:11 - The outer box was one and a half amot plus a tefach plus a little bit, because it rose a little bit above the kaporet. (The kaporet was a tefach thick -- see 25:17). 25:16 - It testifies that G-d commanded us to keep the mitzvot. 25:18 - The faces of children. 25:40 – G-d showed Moshe a menorah of fire. 26:1 - On one side a lion; on the other side an eagle. 26:15 - The wooden beams were to be upright and not stacked one upon the other. 27:2 - To atone for brazenness. 27:19 - They secured the curtains against the wind.